Nearest and Dearest tackles the dissolution of a stable familial structure within contemporary Russian society. This is by now a relatively well-worn trope, rehashed in numerous recent Russian dramas and endorsed outright by pro-family government policies, and for this reason most interpretations of the film compare it to Andrei Zviagintsev’s Loveless (Neliubov’), released in the same year. Although, in the press circuit leading to the film’s premiere, director Kseniia Zueva claimed not to have seen the film, nearly every interview has drawn parallels between the two directors, with one even naming Zueva “the female Zviagintsev.” Arguably this comparison will be the greatest legacy of Zueva’s film debut. One can of course enumerate the important contrasts between the two films with regard to this theme, but in general both highlight a contemporary existential threat to the “Russian Family” as a societal moral repository, on which the culture at large relies as a source of its goodness, kindness, and generosity. To this end, the members of the family, husband Fima, wife Katia, daughter Ania, and son Andrei are all shown in various states of familial breakdown. Fima commits adultery, Katia is suicidal, Ania has an eating disorder and keeps bad company at school, and Andrei suffers from alcoholism. The family’s grandmother is their only source of positive values, so that the distinct possibility of her permanent disappearance symbolizes a larger rupture with healthy socialization in contemporary Russia. 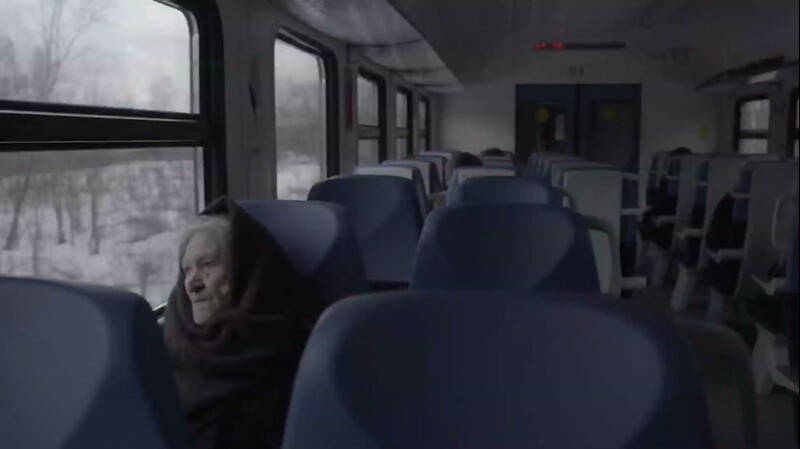 If Zviagintsev stresses the child’s disappearance in Loveless as a bellwether for moral deficiency in Russian society, what are we to make of the grandmother’s departure in Nearest and Dearest? The fact that Zueva chooses to endow the oldest, Soviet generation with moral superiority can easily permit a conservative interpretation of the film’s message on family—namely, that the contours of contemporary youth culture are indicative of a general decline in social values. Ania exemplifies this most clearly in the film, stealing money from her mother, swearing at her grandmother, and texting during dinner. This use of millennial technology in the film is particularly striking and a strange choice for a director as young as Zueva (who is only twenty-seven): “cell phone culture,” including selfies, texting, and talking in hashtags are coded in the film as inherently dishonest activities, most explicitly when Ania’s corrupt teen posse film her boyfriend beating up her brother in order to post the video online. This rift between Ania’s circle of friends and her family drives home an overwhelming feeling in the film that familial bonds can never replace non-familial ones: if Ania is at first lured into friendship with the group due to the disconnect between her and her mother, and a need to feel loved, her prodigal return occurs solely because her friends turn violent and refuse to support her in a personal crisis. Andrei’s dinner with a friend’s parents provides a counterexample of a “good family” to his own in disarray, yet his peers in the film are almost entirely hostile to him, with his only source of affection coming from his strong bond with his grandmother. Although Zueva has claimed in interviews that the film’s title refers not merely to familial intimacy but broader social intimacy, it is nonetheless remarkable how neatly this dyad of family and friends favors the former at the expense of the latter. Despite these insinuations, it would be a mistake to write the film off as a strictly traditionalist endeavor. Zueva was unable to secure official state funding for the project from the Ministry of Culture, and the film’s thematic and aesthetic resonance with chernukha cinema suggests the possibility that a larger cultural critique is at work, undermining the very pro-family tropes it replicates. Indeed, one is left wondering whether the overt emphasis on the family serves as a Band-Aid over a much larger, dangerous wound that has disabled a society’s capacity for general empathy, one which Zueva’s film addresses head-on. This is most likely a generous reading of the film, however, and any core message to the film’s narrative is either intentionally open-ended or ideologically incoherent. Zueva was the only female director to compete in the 2017 Kinotavr Film Festival. While in interviews she has downplayed the idea of a “women’s cinema,” it merits mentioning given the gravitational weight of the women in the film’s family. Indeed, we are never given a glimpse of the internal conflict that spurs Andrei’s drinking problem, nor does the film encourage much sympathy for philanderer Fima, who screams at his wife for having ruined a family dinner during which he himself struggles to keep his eyes off the television. Katia by contrast is a deeply sympathetic figure, cast as the family scape goat. Who is to blame for the mess that the Russian family has become? Almost certainly no one in particular, yet the women in Nearest and Dearest are the clearly designated victims of cruelty and bear this burden with varying degrees of efficacy. All family members may suffer in their own way, but it is within the intergenerational nexus of grandmother, mother, and daughter that the stakes are highest. 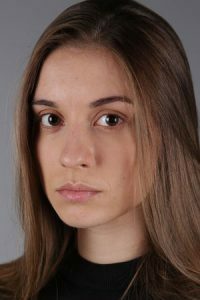 Kseniia Zueva trained as an actress at the Boris Shchukin Theatre Institute before transferring to study scriptwriting and directing at the Gerasimov Institute of Cinematography (VGIK). Although she has worked as an actress in several films, Nearest and Dearest represents her debut as director, screenwriter, and producer.